It was with great regret and sorrow that we learned today of the sudden and untimely death of Olivier Ferrand, newly elected member of the French parliament, founder and president of the progressive think tank Terra Nova, and longtime friend and colleague to many of us at the Center for American Progress. 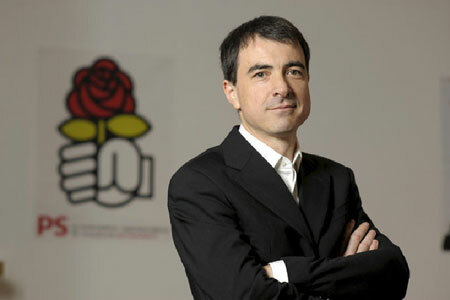 For over a decade, Olivier was at the heart of the renewal of the French Socialist Party and the global progressive movement. A committed advocate of the French people, and a convinced and instinctive internationalist, early in his career he served as a European advisor to French Prime Minister Lionel Jospin, and then to President of the European Commission Romano Prodi. Later, as the founder of A Gauche en Europe and more recently Terra Nova, Olivier created French institutions at the cutting edge of the European and global policy debate. When we at the Center for American Progress created our Global Progress initiative, a program that nurtures and fosters dialogue between young progressive leaders across the globe, we naturally turned to Olivier for help and counsel. In four short years, Olivier drove a new wave of transatlantic progressive dialogue from Paris. He led study groups from the Socialist Party to analyze the lessons of the U.S. primary process and was instrumental in the adoption of the process for the first time ever by the French Socialist Party last October. Inspired by the election of Barack Obama in 2008, he also spearheaded the application and adaptation of social media and modern online communication and organizing techniques within the French progressive movement. Both made an invaluable contribution to Francois Hollande’s and the Socialist Party’s victories this summer. Most recently, and most deservedly, after years of tough political battles, he defeated both the center-right and National Front candidates in the legislative elections in mid-June to become the Socialist member of parliament for Bouches Du Rhone. He was due to take up his seat when parliament reconvened on Tuesday, and much was expected from him. Today, French President François Hollande saluted Olivier for his work in the Socialist party, as well as his leadership over Terra Nova. “He was a talent that our country could pride itself on, and whose future held enormous promise. His voice will be missed at the National Assembly,” Hollande said in a statement from the Elysée Palace. Oliver was indeed a remarkable talent; one that not just France but progressives everywhere could pride themselves on. He will be sorely missed.